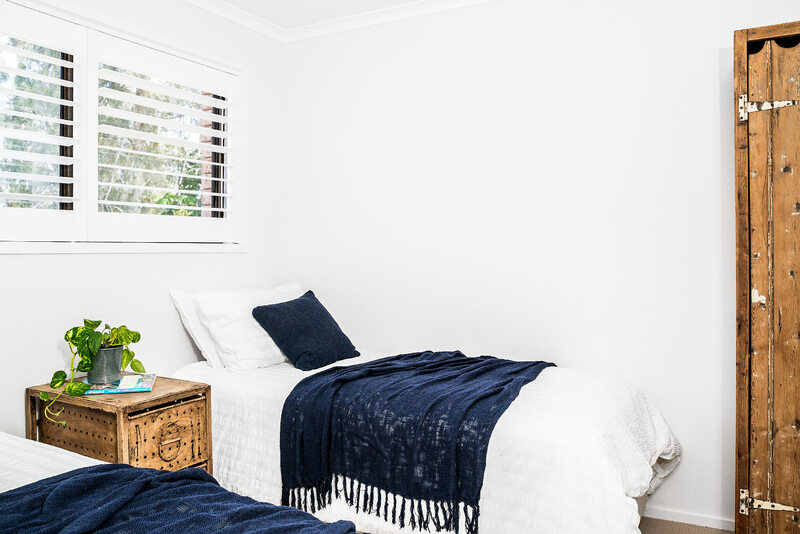 Cooinda is a perfectly positioned, 3-bedroom, 2-bathroom townhouse just moments from Clarkes Beach in Byron Bay. 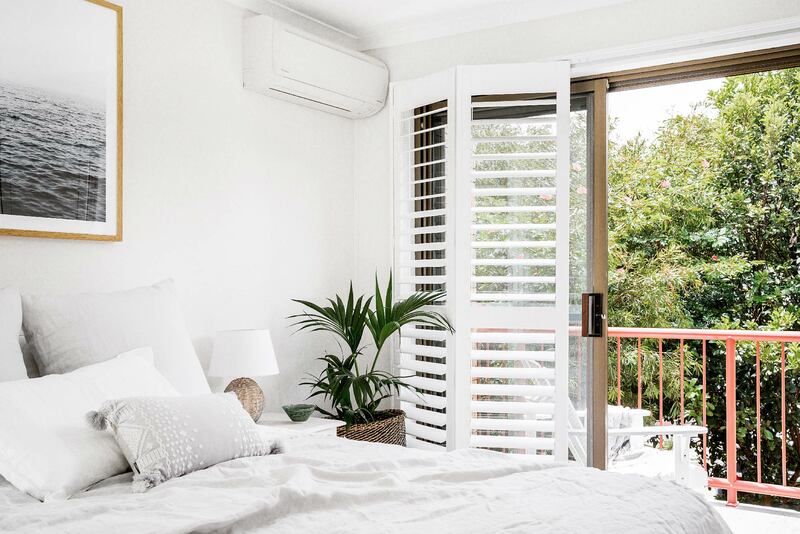 Imagine waking up to the sun peeping in through elegant, plantation shutters or sipping your morning coffee from a balcony, feeling the ocean breezes. 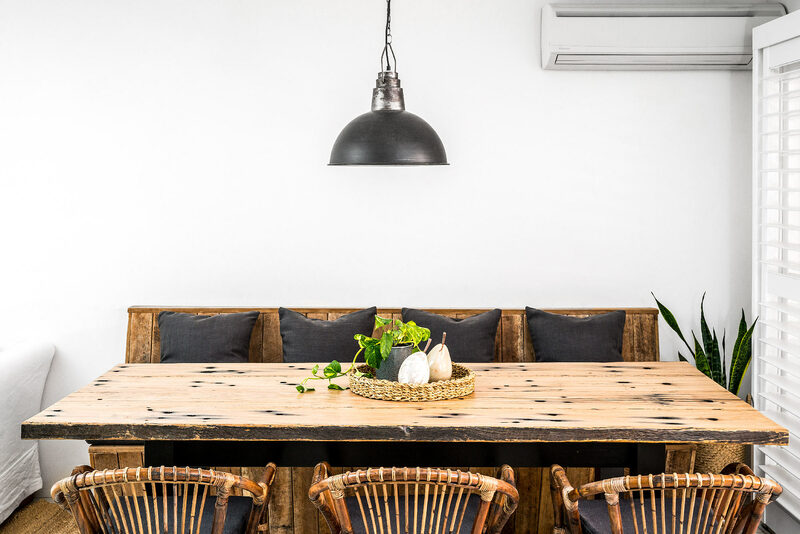 Carefully renovated, the light-filled, restyled interiors give the space a calm, coastal boho feel. A charming, brick patio is a relaxing spot to unwind while a smart kitchen, dining area for 6, and cosy living room complete the space. 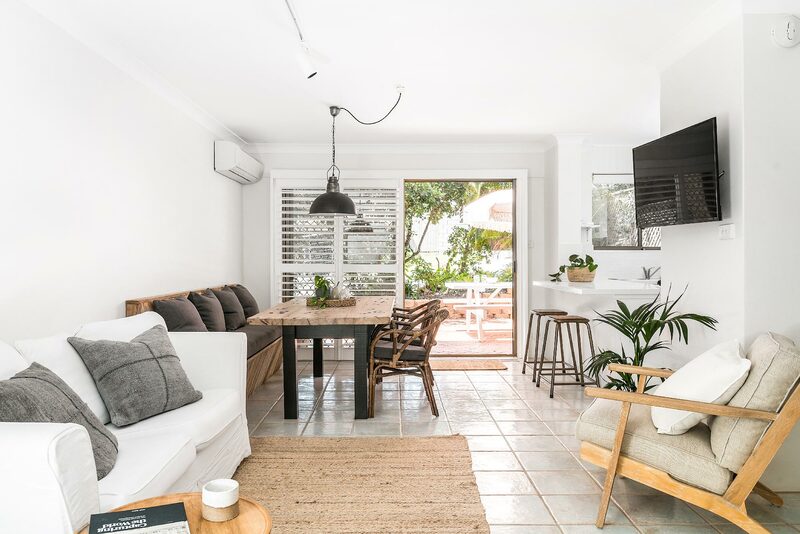 Bright and breezy, the restyled coastal-boho vibe is executed to perfection in this cosy, comfortable living space. Settle into the plush sofa and relax with a magazine or switch on the Smart TV and easily connect to your favourite Netflix programme. The living space flows seamlessly into the dining area and kitchen, which opens out onto the outdoor deck via sliding glass doors. 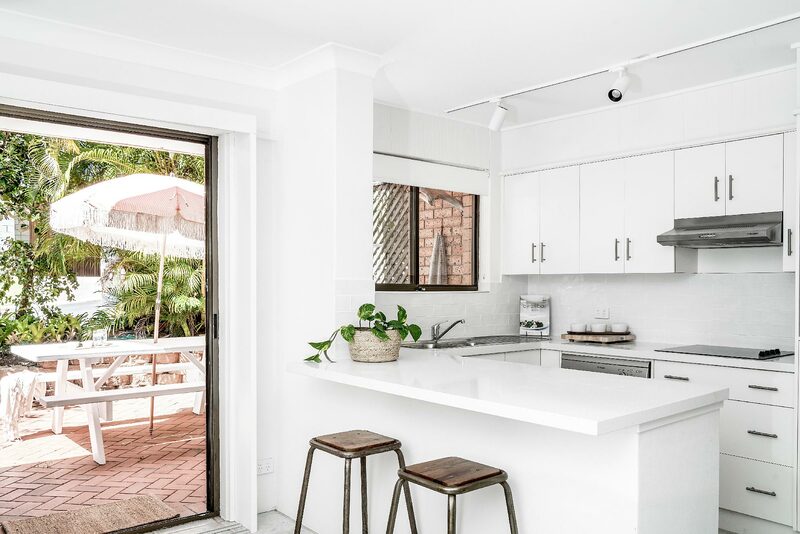 The fresh, modern kitchen is well-appointed, with everything you need to prepare simple meals and snacks with a breeze. 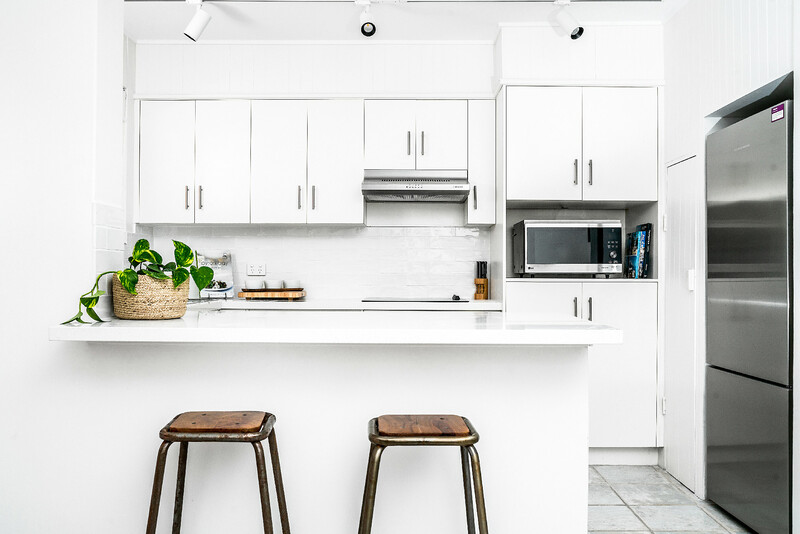 Crisp, white cabinetry and countertops are paired with stylish white subway tiles and stainless steel appliances for a look that is effortlessly chic. The kitchen includes a full-size refrigerator with freezer drawer, a dishwasher, microwave, electric cooktop and convection oven. There is also a breakfast bar with 2 stools which opens out to the dining space. 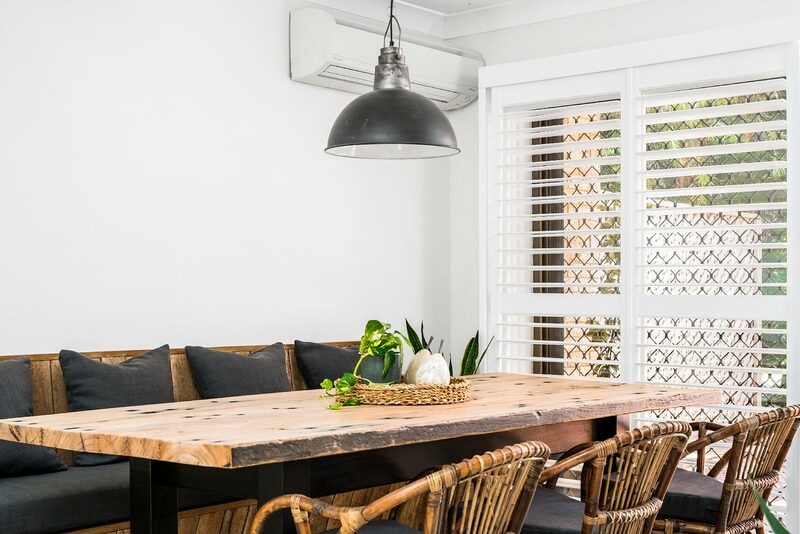 Comfortable, banquette-style seating and stylish bamboo chairs provide ample space for up to 6. Sliding glass doors connect the dining space to the outdoor door for easy, indoor/outdoor flow. 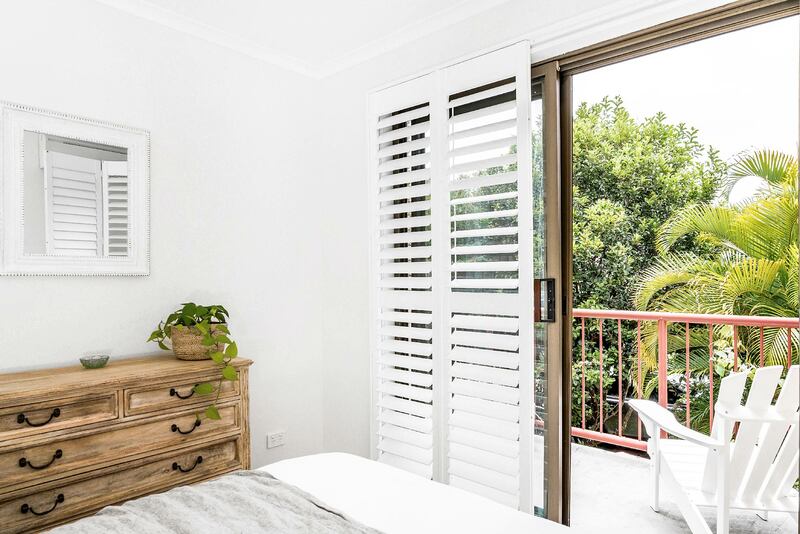 Upstairs are 3 beautifully-restyled bedrooms, capturing the coastal-boho vibe that has come to symbolise Byron Bay. 2 of the bedrooms have comfy queen beds and built-in storage. 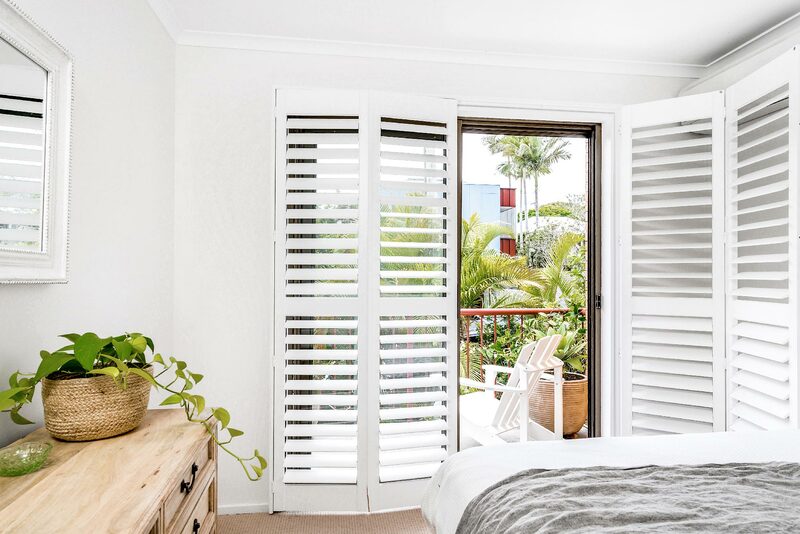 Behind folding, plantation shutters are sliding glass doors which lead to a sun-kissed balcony overlooking the back patio and lush landscape beyond. 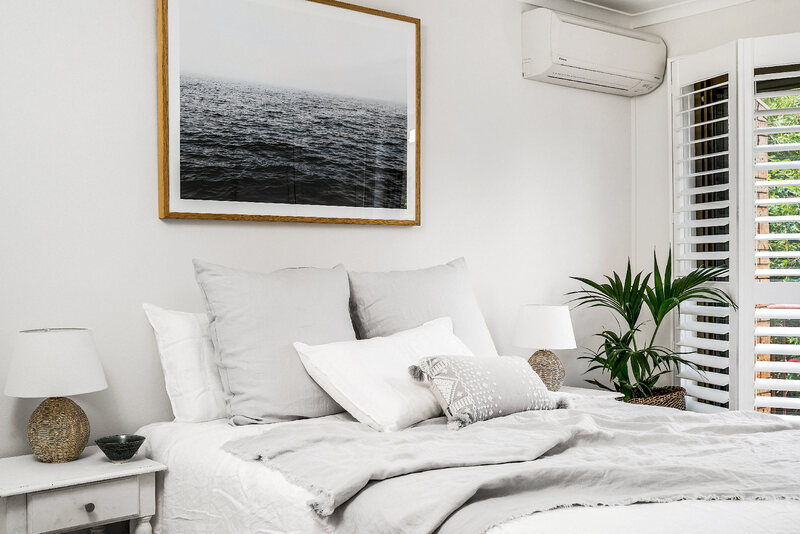 The 3rd bedroom is similarly styled, instead with 2 single beds. 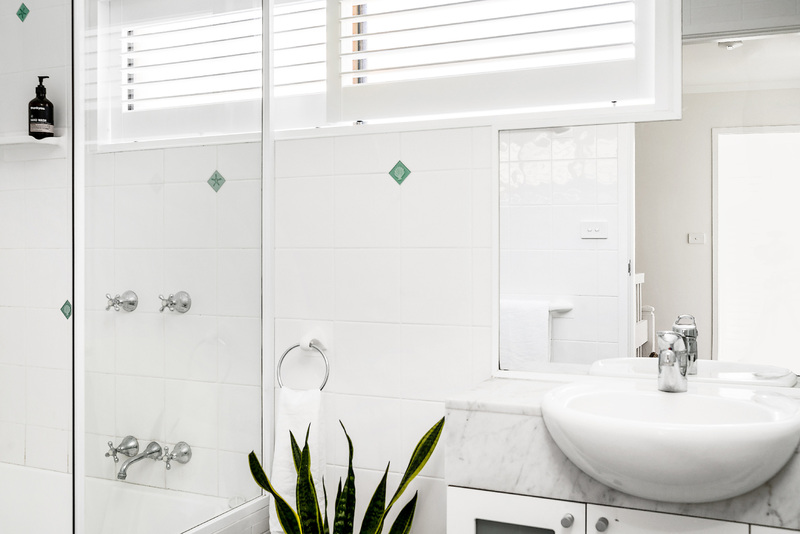 Cooinda’s upstairs bathroom has crisp, white tile work throughout, with a single vanity and a combination bathtub with standing shower. 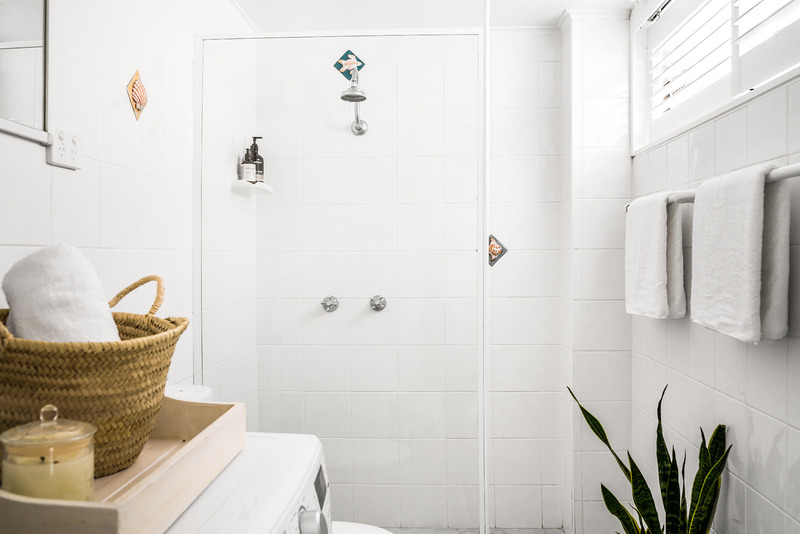 Similar light, bright styling is found in the downstairs bathroom, which holds another single vanity, a standing glass-enclosed rain shower, and laundry facilities for guests to use. Lined with red brick and bordered by lush landscaping, the outdoor terrace is a welcoming place to unwind and dine with your friends or family. 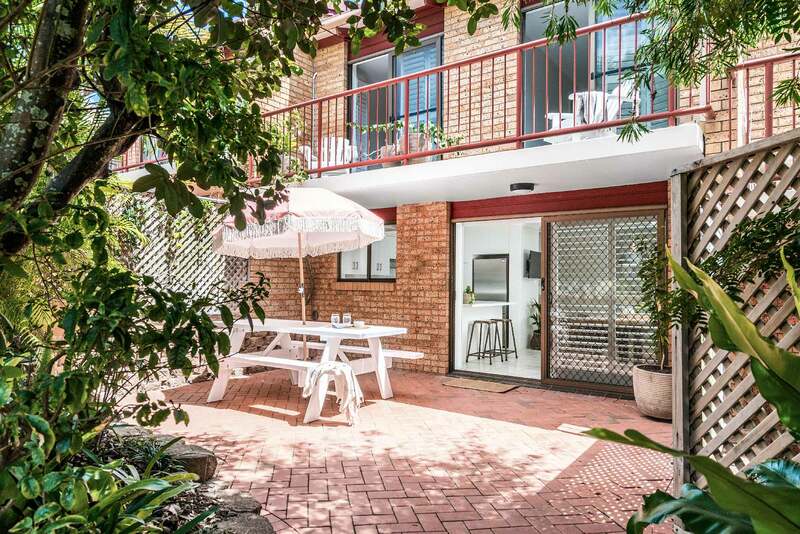 This sun-kissed spot still offers plenty of shade, surrounded by palm trees and tropical plants, while the charming, picnic table for 6 has an umbrella at the ready. There is a gas BBQ available for guest use, ideal for preparing and enjoying a delicious, intimate family meal together outdoors. There is parking for 1 car off-street carport and space for 2 additional cars off-street. The garage is not available for guest parking. 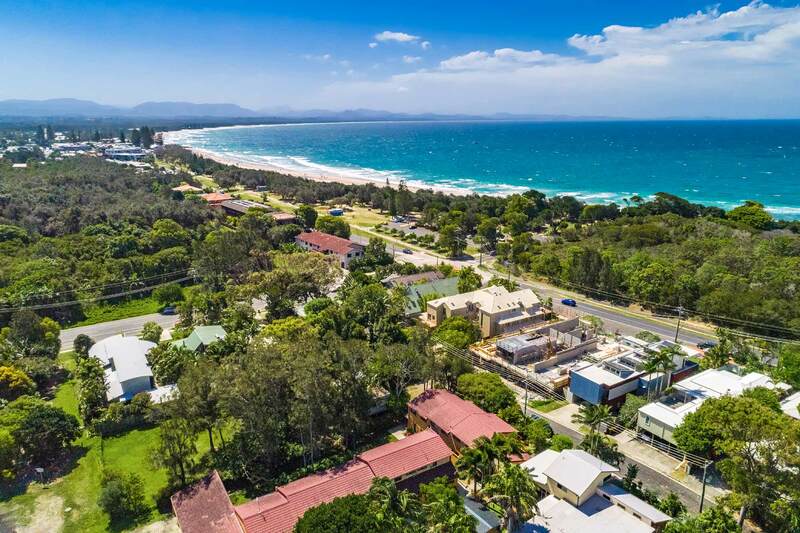 You might just be able to hear the waves crashing at nearby Clarkes Beach, just a 3-minute stroll from Cooinda’s front door. 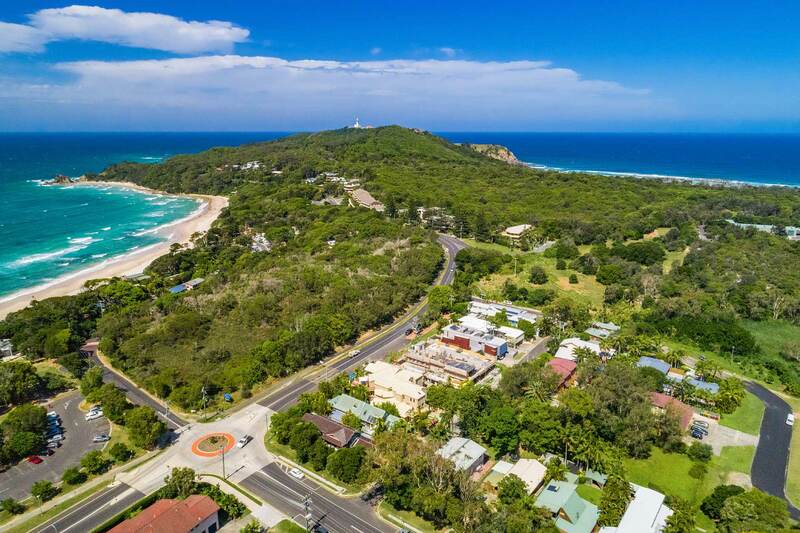 The very best of the Byron Bay lifestyle is all within easy reach, from friendly neighbourhood coffee shops and scenic walking trails to chic designer boutiques and world-class dining. Feel like a local from the moment you arrive at Cooinda and embrace all that beautiful Byron has to offer. Group restrictions - maximum of 6 guests at the property. Close to beach, lovely stroll to Restaurants and shopping, morning walk to lighthouse. Quiet with everything we needed to relax, thoughtful inclusions made our stay super comfortable. We will be back.